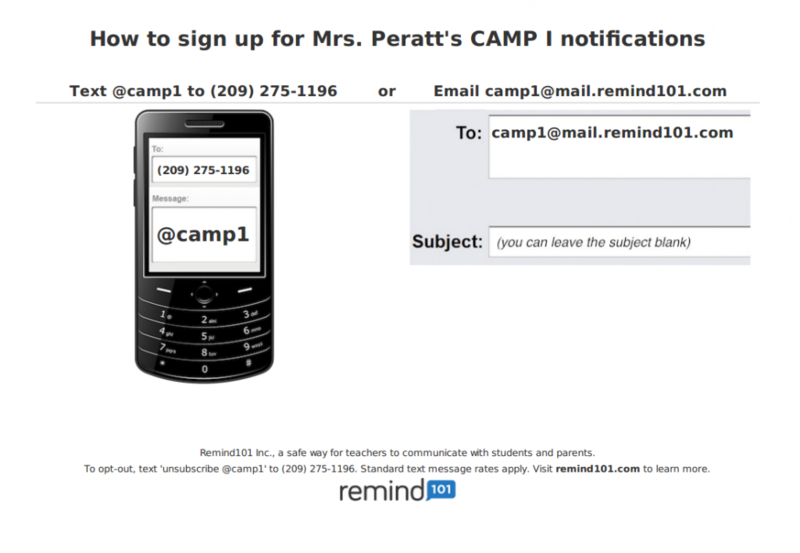 CAMP » Blog Archive » Mrs. Peratt’s classes are now on Remind 101…Text Message Reminders! 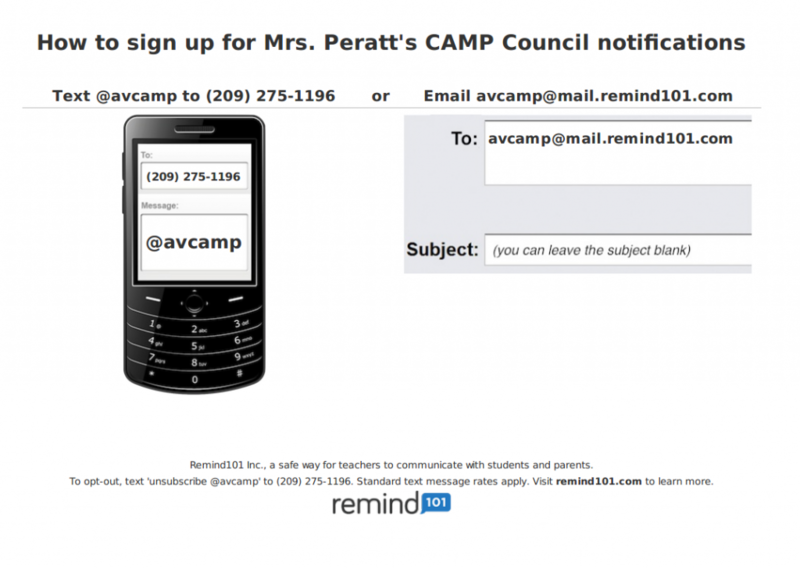 Mrs. Peratt’s classes are now on Remind 101…Text Message Reminders! Sign up below for text messages which will include class reminders and other important information. Students and Parents are welcome to join!